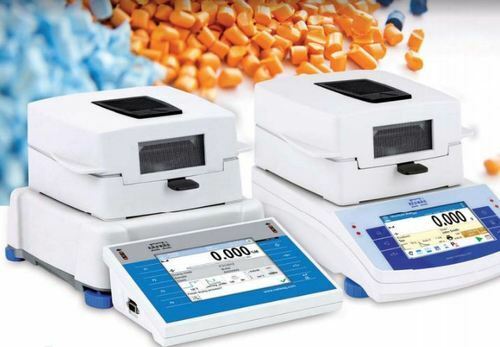 Versatility of Applications Demanding requirements of RADWAG customers has resulted with 3 different series of moisture analyzers, from highly-advanced solutions through standard to basic ones. MA 3Y is designedto enable the most complex measurements, MA X2.A is used for typical applications and MA Raddress essential needs.The Ease and Comfort of Operation Both display and menu structure design make moisture analyzer operation easier and more intuitive.MA 3Y and MA X2.A series are additionally equipped with a touchscreen to your greater comfort.The Precision of Mass Measurement in all Thermal Conditions.The special algorithm controlling heating elements operation facilitates maintaining proper drying temperature and ensures fast and precise measurement. Dynamic temperature control methodallows to carry out analysis within a relatively short time and to obtain repeatability in the seriesof drying processes.Drying Temperature Optimization RADWAG moisture analyzers, equipped with various heating elements, allow testing moisturecontent of diff erent samples, i.e. samples characterized with various structures and textures. Diversedrying profi les make use of individual methods for obtaining the preset temperature possible.Drying Process VisualizationIn order to enable full control of the drying process, RADWAG moisture analyzers provide diff erentforms of online process visualization. Depending on the model you can display drying process graph(dynamically drawn drying curve), bargraph for sample mass control or measured value preview(g, %M, %D, %R).Database as Drying Processes BackupPossibility of saving all the information on samples and drying processes in database improvesdrying processes management. Taking advantage of this option you do not have to rememberparticular parameters’ values.